Grant S. Tall | Bovis, Kyle, Burch & Medlin, LLC. Grant Tall joined Bovis, Kyle, Burch and Medlin, LLC in 2017 as a member of the firm’s Workers’ Compensation department. Prior to joining the firm, Grant was an associate attorney with another defense firm where he defended employers and insurers in Workers’ Compensation matters for several years. He has handled workers’ compensation claims in all aspects of litigation, including mediation and trial. He is originally from Roswell, Georgia where he attended and graduated from Roswell High School. Thereafter, he attended the University of Georgia where he earned a BBA in Finance and a minor in Political Science, graduating with honors. Grant attended the Mercer University Walter F. George School of Law in Macon, Georgia, graduating in 2012. While in law school, he served as a class representative for the Student Bar Association, as well as the Moot Court Chair of the Mercer Advocacy Council. In addition, Grant competed in two Moot Court Competitions, ultimately earning distinctions for brief writing and oral advocacy. He also served as the student coach for Mercer’s ABA National Moot Court Team, and competed in the National Ethics Trial Competition. Upon graduation, he was inducted into the Order of the Barristers, and was admitted to the bar in 2012. 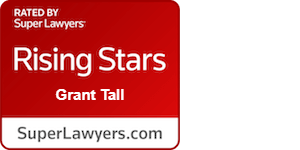 In addition, Grant has also been selected to the Georgia Rising Stars list, an honor reserved for those lawyers who exhibit excellence in practice. 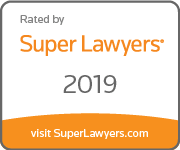 Only 2.5% of attorneys in Georgia receive this distinction. Grant resides in Roswell, Georgia with his family. In his spare time, Grant enjoys cheering on the University of Georgia Bulldogs and all Chicago sports teams.